IQS Directory provides useful search tools to find leading prefabricated garage manufacturers and suppliers. Utilize our website to review and source prefabricated garage manufactures with our easy-to-use features which allow you to locate prefabricated garage companies that will design, engineer, and manufacture prefabricated garages for your exact specifications. Our request for quote forms make it easy to connect with leading prefabricated garage manufacturers. View company profiles, website links, locations, phone number, product videos, customer reviews, product specific news articles and other production information. We are a leading manufacturer directory who will connect you with the right manufacturers whether you are looking for manufactured garages, prefabricated structures, or prefabricated residential garages. Prefabricated garages are used as an efficient and cost-effective construction method of adding a garage to a location either as a stand-alone structure, or attached to an already existing building. For residential and smaller size prefabricated garages, kits are available from manufacturers. 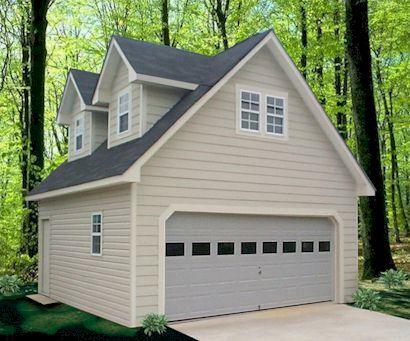 The garage kits come with everything required for the construction of the garage and are able to be constructed in a short amount of time by a person with little to no construction experience. Prefabricated garages can be used on a semi-permanent or long term temporary basis, but will typically not last as long as a traditionally constructed building will. Larger garages are types of industrial shelters which can be used for machinery and transportation equipment. 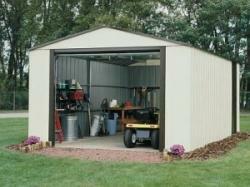 Other garages can be used for the storage of electronic equipment, tools, chemical materials, or oils and fuels. Residential garages may be constructed for vehicles, recreational equipment and recreational space or personal storage. Prefabricated buildings such as garages or storage buildings are typically easier to get a building permit for, if one is required at all. In some cases, a building license may not be required for a prefab shelter, although it is always important to check with local regulations. As prefabricated garages are typically standard designs with very simple layouts, there will be few problems in terms of assembly concerning the building plans and materials. Standard prefabricated buildings have been constructed numerous times according to a tested pattern and therefore are typically reliable structures. As the popularity of prefabricated building has increased, so has the quality of the finished products. Commonly used materials for prefab garages include aluminum, steel, concrete, plastic and textiles and wood. 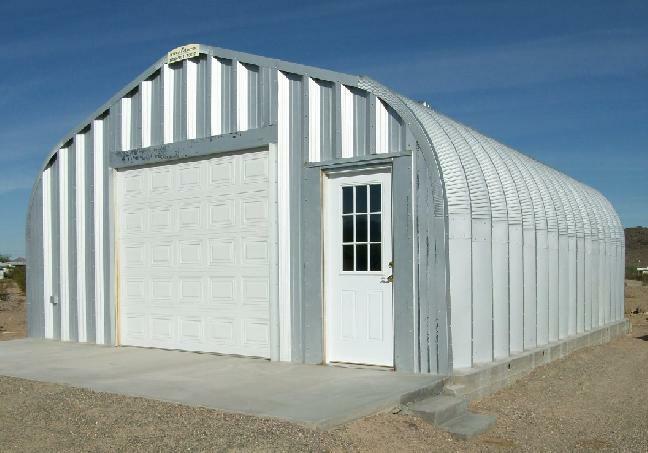 A typical garage will consist of a metal frame to provide a strong and durable base to the structure, and sidewall sheeting that will vary depending on the intended use of the garage space. The exterior of the garage can be further customized by the use of colors and trims, as well as by the addition of windows if desired. As these buildings are intended for use outside, they will need to be able to withstand a wide range of temperatures and harsh weather conditions. As with other prefabricated buildings, prefab garages do not need to be attached to a permanent foundation, although a level surface may be prepared to place the structure on. Typical kit-manufactured garages come with a wooden floor and are able to bear the weight of vehicles, therefore allowing for a wide variety of uses for prefabricated garage space. As these buildings are almost fully constructed in a factory, they are typically ready for use on the same day as installation. 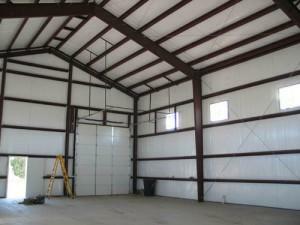 Please visit our Modular Buildings page for other Prefabricated Buildings.